INBAR will be present at a number of international events in December. Find out more, and join us. Although bamboo has been used for thousands of years, its more innovative applications are those which make it a useful tool for poverty alleviation, environmental protection and climate change mitigation. 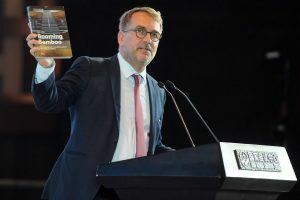 Last year, INBAR and an international group of bamboo entrepreneurs and innovators showcased the plant’s potential at GSTIC. This year, we will be doing the same. At GSTIC 2018, INBAR Director General Hans Friederich and bamboo sustainability expert, Pablo van der Lugt, will be introducing the session ‘New materials for a sustainable economy’, on 29 November. The session will introduce a wide range of entrepreneurs and innovators who are changing how we think about bamboo’s potential. INBAR will also be hosting a booth for all three days of the event, which showcases bamboo products from Asia and Europe. INBAR and partners will be at GSTIC from November 28 to November 30. 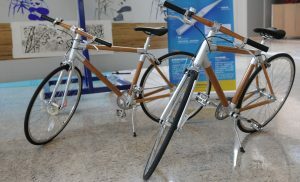 Bicycles, pipes and interior design applications are some of the innovative bamboo products which will be showcased at GSTIC. One of bamboo’s most important uses is its ability to restore severely degraded soil, while simultaneously storing significant amounts of carbon at a very high rate. With over 30 million hectares of bamboo around the world, this plant is an integral part of global landscapes. 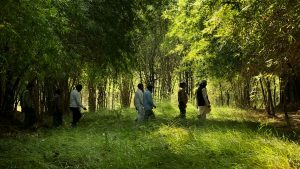 Countries including Cameroon, China, Ethiopia, Kenya, Ghana, India, Madagascar, the Philippines and Vietnam now specifically include bamboo in their sustainable land management programmes. At GLF Bonn, INBAR will be hosting an event to showcase bamboo’s land restoration and carbon storage potential. The event provides an excellent chance for business leaders, governmental officials, and leaders of international organisations to share their experiences, and discuss how using bamboo to restore degraded land can create opportunities for socio-economic development. TED-like storytellers will share worldwide case studies on using bamboo for land restoration and bamboo enterprise development. 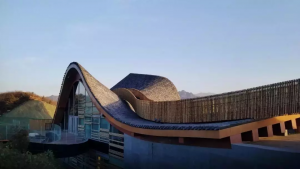 Representatives have been invited to speak from the Food and Agriculture Organization, leading Chinese companies in bamboo design, and policy makers from INBAR Member states. ‘Bamboo for restoration and economic development’ will be held on 2 December, from 0900 to 1030. INBAR has recently released a report on bamboo’s uses for land restoration across the world. Construction is a leading cause of greenhouse gas emissions. With huge infrastructure development predicted across the Global South, the need for green alternatives to traditional materials, such as cement, PVC, steel and timber, is crucial. INBAR will be co-hosting a side event on bamboo’s important potential to contribute to China’s Belt and Road Initiative. This side event will provide an opportunity to share successful experience and exchange thoughts on bamboo and rattan for green sustainable development. INBAR will invite senior representatives from UN Environment, UNOSSC, Secretariat of United Nations Framework Convention on Climate Change (UNFCCC), UN Department of Economic and Social Affairs (UN DESA), INBAR Member Countries and partners as well as the private sector to discuss how to better contribute to greening the Belt and Road with bamboo and rattan and bring about win-win cooperation. Participants will be encouraged to work more closely with INBAR to mobilise necessary resources to incorporate bamboo and rattan in their own national plan for green growth and promote the use of bamboo and rattan to help realise sustainable development. 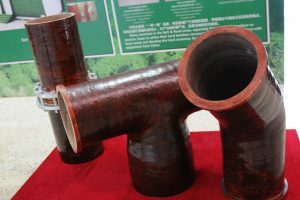 ‘Bamboo and rattan for greening the Belt and Road’ will be held on 12 December, from 15:30 to 17:00, followed by a cocktail hour. For more information about these events, or to register your interest, please get in touch with the communications team at info@inbar.int. Please use the headline ‘INBAR in Europe 2018’ in the subject title.